Do you believe in magic? 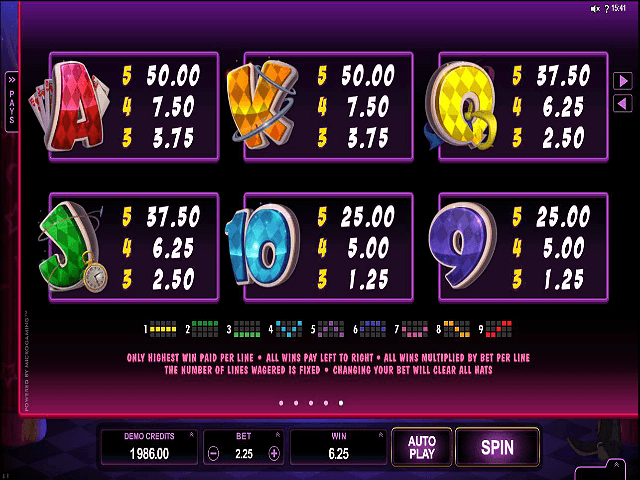 You just might after a few spins in this fun slot outing from Microgaming with its four very special bonus features. All of the action unfolds on a colourful gameboard with the magic man himself overseeing proceedings aided by his glamorous assistant – and no, that top prize of 450,000 is not an illusion. Play Rabbit in the Hat for Real Money! Wild reel: up to three reels will feature expanded wilds – perfect for accumulating some fantastic prizes. Cash: quite simply, the Cash magic hat rewards players with a random cash prize instantly. Free spins: here ten free spins are dished out and played with a new set of rules (more on that below).
? : the mystery prize. Land this hat and you'll be awarded one of the three bonuses outlined above. 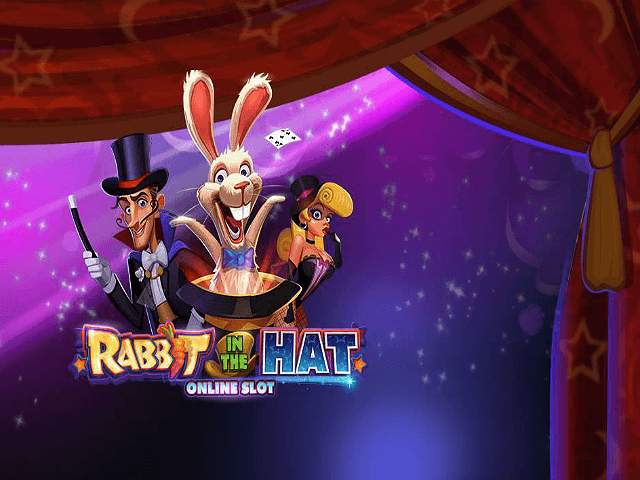 The free spins is where the magic really happens in the Rabbit in the Hat slot machine. 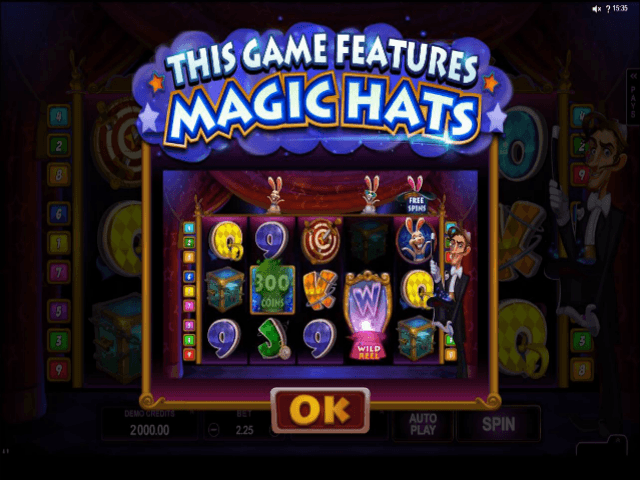 Each spin begins with a hat located above your reels, and each time you land the Free Spins magic hat, a further ten freebies will be added to your allotted number of turns. You can accumulate up to 50 at any given time. The real beauty of the free spins round? That has to be the top prize available: a knee-trembling 450,000! 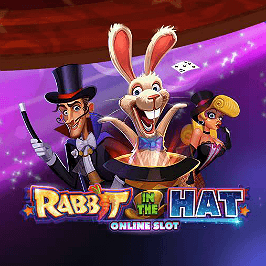 With free spins, random cash prizes and mystery bonuses up for grabs, the magicians at Microgaming have truly pulled a rabbit out of the hat with this online slot. Share this Rabbit in the Hat Review today! 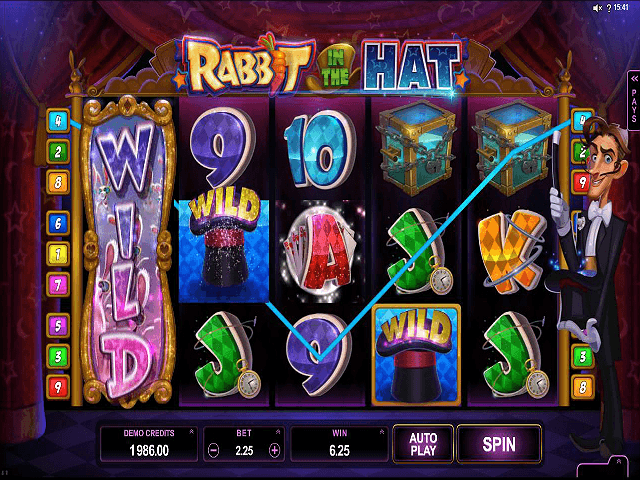 If you like Rabbit in the Hat, you'll love these slot titles too!